Things seem to be getting worse for the Queen Elizabeth Hospital in Barbados. In a hastily called emergency meeting by the Barbados Association of Medical Practitioners, President Dr. Carlos Chase and first Vice President Dr Vikash Chatrani have said that only emergency surgery will be conducted at the island’s lone public hospital. The meeting was attended by members of BAMP at the Queen Elizabeth Hospital on Monday evening. It stands to reason that critical shortages also are being experienced at the island’s polyclinics. According to BAMP, the situation at the hospital is at crisis point and hospital management and the Board has said that with immediate effect, only urgent and emergency surgeries will be performed. Meanwhile, BAMP’s second Vice President Chaynie William said that the hospital’s Accident and Emergency Department was still able to cope with life-threatening scenarios but still remained challenged. Dr. Chase explained that critical medical supplies such as gloves, linen, sutures and blood glasses were unavailable. “We just don’t have the proper equipment . . . we don’t have the CT scan to diagnose you properly. We can’t treat you if the ICU can’t ventilate you properly, so it is not us [BAMP] telling you anything. We are just saying that this is happening and we are concerned and we want the Government to restore the levels so we can move on and treat our patients. “ . . . In other words, if you get a cut we have to stitch you up with a suture. There are no sutures. We have to use the sutures for the people who are in an urgent situation. We can’t do elective surgeries because if we do that, for example, when a little child comes to have its appendix [removed] then you can’t treat them properly. When someone comes with a stroke, you can’t do the imaging to treat them properly that is what it means,” Chase explained. Lending his voice was Dr Vikash Chatrani, the first vice President of the BAMP. “It cannot be business as usual. We believe that the short term financial injection or supplements have failed to rectify the serious situation that exists at the QEH and we urge the Government to immediately restore adequate levels of funding in order to prevent harm to our patients,” said Chatrani while speaking to journalists after the QEH Emergency meeting. “QEH confirmed it is experiencing critical shortages in basic and essential supplies. As a result of these critical shortages, BAMP was informed that the QEH will only be performing urgent and emergency surgical procedure with immediate effect. Our members are very concerned that the standard of medical care has been compromised as a result of these shortages”, he continued. “These challenges extend beyond the surgical and affect the four ICUs [the Neo-natal, Pediatric, Medical and Surgical Intensive Care Units], the Accident and Emergency Department, Laboratory and Imaging Services,” Dr Chatrani explained. He said that all medical professionals need to be very concerned about their ability to provide the required standard of care not only required of the institution but of them as medical professionals. 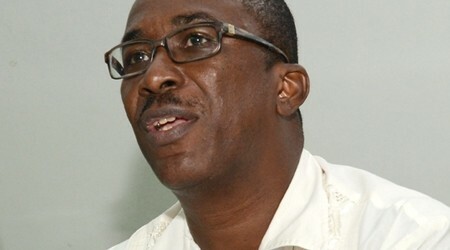 “When somebody comes in and has a problem whether they come to Accident and Emergency, whether they come to the operating theatre, we do not have the resources to give them the standard of care they deserve as Barbadian citizens,” Chatrani said. 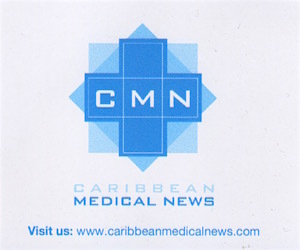 Calls by the CMN to the Minister of Health proved futile up until press time.